The National Chairman of Zenith Labour Party (ZLP), Mr Dan Nwanyanwu, has reacted to the suspension of Justice Walter Onnoghen as the Chief Justice of Nigeria. Speaking during his appearance on Sunrise Daily on Monday, he faulted the approach of the Federal Government in tackling the allegations of false asset declaration against the judge. 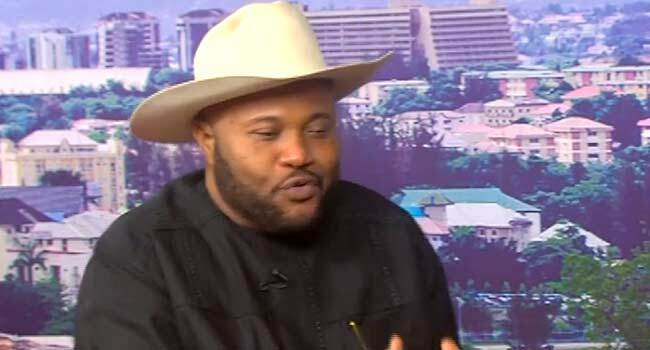 Nwanyanwu believes the government put the main issue aside and started chasing something else, stressing that the case should have been tackled in a different direction. “If I were near President (Muhammadu) Buhari, I will deal with it differently,” he said on the Channels Television’s breakfast programme. He said the government out to have leveraged the purported content of the asset declaration form against Justice Onnoghen and not what it was doing. Nwanyanwu explained that the government would have reported the judge to the National Judicial Councils NJC as provided in the Constitution, should he refuse to resign. He, however, alleged that the government could not go through the process he stated because it was after the exit of Justice Onnoghen from office. “And if you confront him with it, you need not tell him to leave. But nobody in Nigeria is talking about whether the CJN if you add all his salaries since he became a judge, he will earn such amount of money,” he said. On Friday last week, President Buhari suspended Justice Onnoghen and appointed Justice Tanko Mohammed as acting CJN.